Keeping your job is job one. In recent years, the FairTax has gained a lot of attention, but for the vast majority of Americans, there's a sense that there's still too little unbiased information on which to make an informed decision. 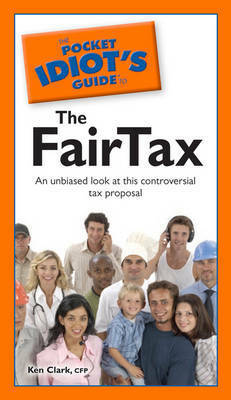 "The Pocket Idiot's Guide(tm) to the FairTax" seeks to change that. In this book, readers get answers to all of the questions they have about the FairTax, including: What it is, how it's calculated, and who pays what Comparisons with other tax systems Economic and political effects of the FairTax Common misconceptions What supporters and opponents have to say Moral issues associated with the FairTax Author is a certified financial planner"
Ken Clark, CFP, is the author of "The Complete Idiot's Guide(r) to Getting Out of Debt." He has been a financial advisor to individuals, families, and organizations for more than a decade.